The Independent Municipal and Allied Trade Union (IMATU) remains concerned about South Africa’s economic outlook after the South African Reserve Bank’s (SARB) decision to keep the repurchasing rate unchanged. 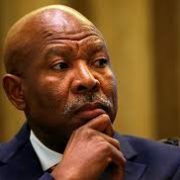 “While we acknowledge the Monetary Policy Committee’s mandate to manage inflationary increases, we remain concerned about our country’s poor domestic growth forecasts and escalating unemployment figures. Despite a decrease in the fuel price, many consumers remain cash-strapped, financially burdened and indebted. 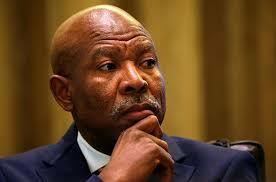 At the previous meeting of the Reserve Bank last year, indication was given that South Africa would be entering the beginning of an interest rate hiking cycle. Future interest rate increases coupled with recent requests by Eskom for 15% tariff increase over the next three years will place unbearable financial pressure on consumers,” explained IMATU General Secretary, Johan Koen. IMATU believe that the serious concerns regarding domestic policy certainty, decisive implementation and the creation of employment opportunities must be addressed if the South African Government wishes to effect positive economic growth. “Notwithstanding other negative shocks, we as a country have the ability to address some of the factors directly affecting inflation. Our government has got to tackle financial mismanagement, corruption and ineffective leadership in order to foster an environment of inclusive growth and increased employment,” stated Koen.